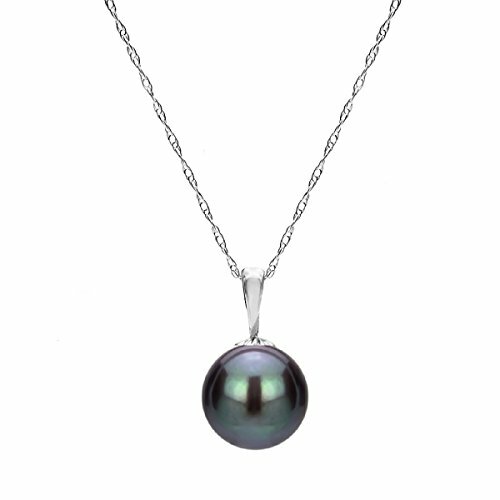 A Beautiful and Elegant 14k Gold Round Dyed-black Freshwater Cultured High Luster Pearl Pendant Necklace 18" Length. This Pendant Includes a Gold Rope Chain, and Secured With Spring-ring Clasp. We Carry Different Size Per Pearl, Different Metal Types, Different Color of Pearl, and Different Pearl Type. Please Contact Us if You Do Not See What You Need.